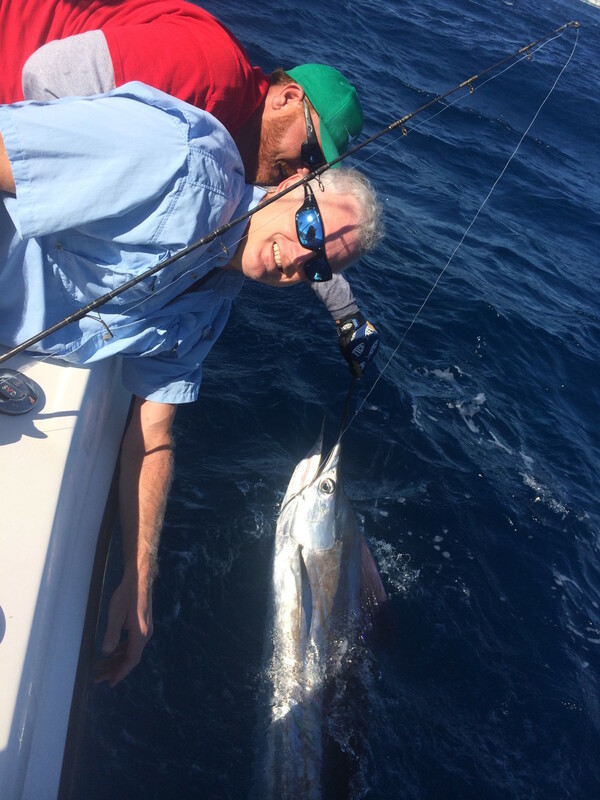 The Great Barracuda (Sphyraena barracuda) named “Barry” (Tag ID: GFR1251) was originally tagged & released by angler Steve Shaddock on October 29th, 2015 while fishing with Captain Bouncer Smith and mate Abie Raymond aboard the charter boat Bouncer’s Dusky 33, out of Miami Beach, Florida. The Barracuda was estimated to be 40 inches (101.6 cm) total length and had an approximate weight of 12 pounds. The Barracuda was recaptured 108 days later on February 13th, 2016 by Omar Hernandez while fishing with his family aboard their boat out of West Palm Beach, Florida. 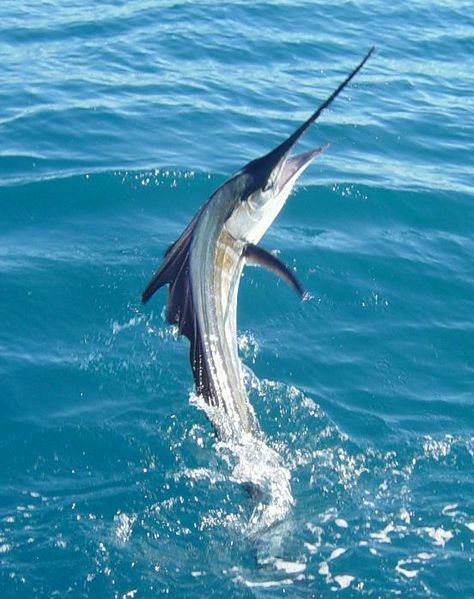 The recapture was near the Blue Heron Inlet, which is a popular fishing and diving location in the waters off West Palm Beach. The recapture location was approximately 74.7 miles (120 km) away from the original tag location. During that 108-day time period, the Barracuda most likely stayed at a consistent water depth, around the reef areas, as it traveled north. That area is ideal habitat with its near shore abundance of coral reefs, seagrasses and mangroves as well as home to numerous small fish, which is the primary food source for the Barracuda. At the time of recapture, the Barracuda had a measured length of 42 inches and weight of 14 pounds. 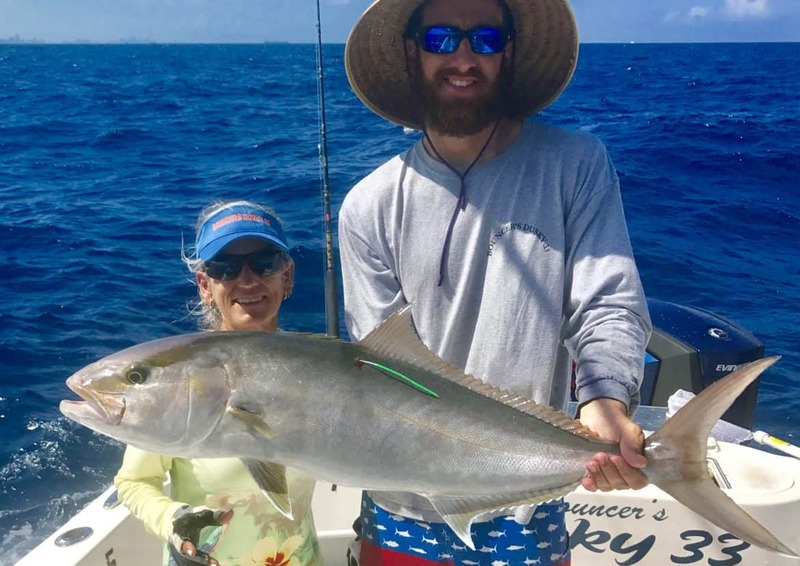 Bouncer’s Dusky 33 charter boat crew will receive Gray FishTag gear for their tagging efforts. 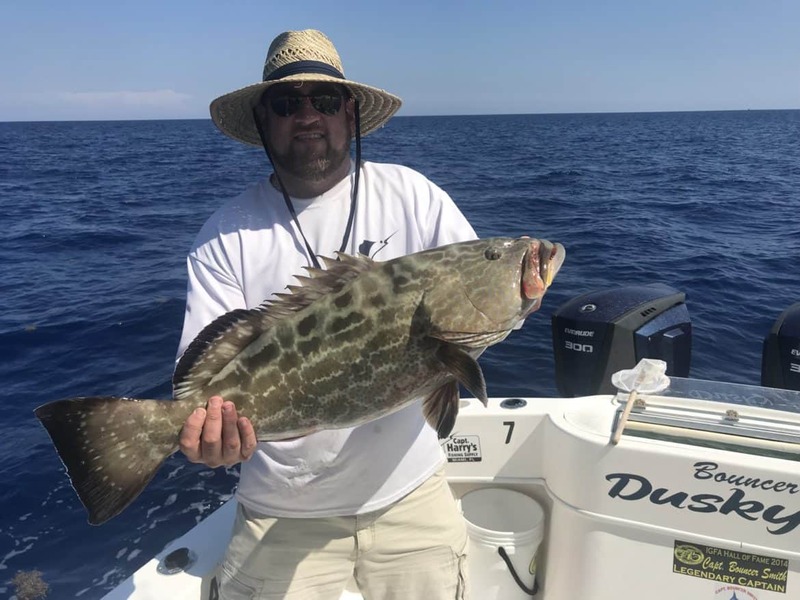 The tag recovery angler, Omar Hernandez, will receive a pair of Costa Del Mar sunglasses, a Tag & Recovery Certificate, and Gray FishTag gear for reporting the tag recovery.